- high safety and reliability products, used in the astronautics, aviation and defense. 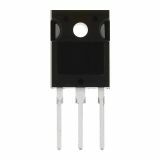 Transistor IRL1004, N-MOSFET, 40V, 130A, 200W, 6.5mohm, TO-220AB Transistor IRL1004, N-MOSFET, 40V, 130A, 200W, 0.0065ohm, TO-220AB. List Price 13.00лв. VAT Incl. 12.35лв. VAT Incl. 11.70лв. VAT Incl. List Price 0.58лв. VAT Incl. 0.55лв. VAT Incl. Transistor IRL540NPBF, MOS-N-FET, HEXFET, 100V, 36A, 44mOhm, 140W, TO220AB IRL540NPBF transistor technology MOS-N-FET, the maximum drain-source voltage of 100 V and a maximum drain current of 36 A in standard housing TO220AB. List Price 1.50лв. VAT Incl. 1.42лв. VAT Incl. 1.35лв. VAT Incl. 1.27лв. VAT Incl. 1.20лв. VAT Incl. 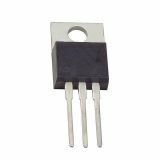 Transistor IRF1405PBF, MOS-N-FET, 55V, 169A, 5.3 mOhm, 330W, TO-220AB Transistor IRF1405PBF, MOS-N-FET, 55V, 169A, 5.3 mOhm, 330W, TO-220AB. It's specially designed for automotive applications and a wide variety of other applications. 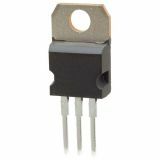 Transistor IRLB4030PBF, MOS-N-FET, 100V, 180A, 4.3Ohm, TO220AB Transistor IRLB4030PBF, MOS-N-FET, 100V, 180A, 4.3Ohm, TO220AB, for THT mounting. 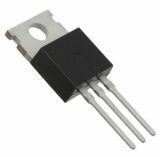 Transistor IRFB3607, N-MOSFET, 9mohm, 75V, 80A, -55~175°C, 140W, TO220, ±20V Transformer IRFB3607 with HEXFET technology of the N-MOSFET type. With a 75 V drain-to-ground voltage, 80 A coil current, 140 watts of dissipated power, and a TO220 housing. List Price 1.90лв. VAT Incl. 1.71лв. VAT Incl. 1.61лв. VAT Incl. 1.52лв. VAT Incl. 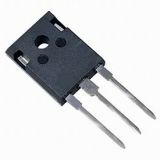 Transistor IRFZ44N MOS-N-FET 55 V, 49 A, 94 W Transistor IRFZ44N MOS-N-FET 55 V, 49 A, 94 W.
Transistor IRFP260 N MOS-FET 200 V, 50 A, 0.04 Ohm, 300 W Transistor IRFP260 N MOS-FET 200 V, 50 A, 0.04 Ohm, 300 W.
List Price 2.90лв. VAT Incl. 2.61лв. VAT Incl. 2.46лв. VAT Incl. 2.32лв. VAT Incl. List Price 2.75лв. VAT Incl. 2.61лв. VAT Incl. 2.47лв. VAT Incl. 2.33лв. VAT Incl.